Downtown Lewiston offers many smaller, unique stores where you can find unique gifts, clothing, fine jewelry, home decor, antiques, artwork and much more. Up 21st Street towards Thain Grade you'll find shopping centers with the well known box stores. There is one shopping Mall located on 19th Avenue. Find where to shop in Lewiston. The Diamond Shop. 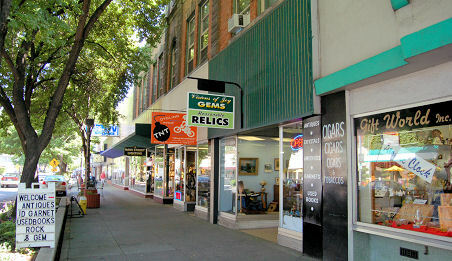 700 Main Street, Lewiston, ID 83501. Phone: 208-746-2649. *Also see neighboring Clarkston and nearby cities and towns in the left hand column to find additional shopping.